UART0, otherwise known as the Mightyboard’s primary serial port, is connected to the USB hardware and used for communicating with Replicator G. Both RevE and RevG Mightyboards have an unpopulated header that contains for the 2nd serial port, UART1. Normally unused on modern hardware, this second serial port was originally used for the RS485 chain for slave tools. I wanted to use this UART1 for something useful, so I added some code to Sailfish that allows you to swap the primary UART0 traffic to UART1. 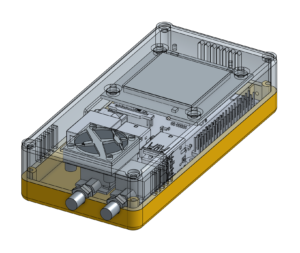 This allows you to connect a serial device to UART1, such as a bluetooth serial module, or a network-to-TTL-serial adapter. 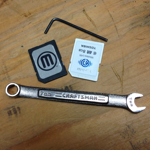 Bluetooth serial modules should work pretty easily, but with a little coaxing, you can even get ReplicatorG to connect over the network. This is an experimental replacement for the FlashAir user interface. I use on my v2 card. I’m not if it’ll work with a v1 card, but it should. Drag and drop on browser window to upload. I recently acquired Dropzone in as part of a discount software bundle. 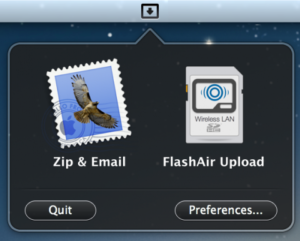 It essentially an enhanced “droplet” app that allows you to take action on files that you drag and drop to an icon. I liked that it has a scriptable API in Ruby, and thought it might be a nice way to upload .X3G files to the FlashAir card in my Makerbot. 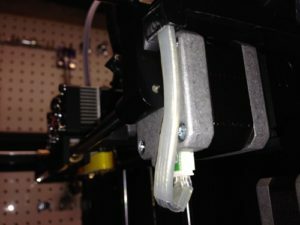 Information on taking a LPC1768 and turning into a print server for the Makerbot. Use a Toshiba FlashAir to load your X3G file to the SD card, then use this to send the build command and start the print. The Mini-DK2 development board is $32 on eBay, or for $8 more you can have one with an LCD display. An mbed LPC1768 module from mbed.org works as well, but you’ll need a carrier board that has ethernet and a USB host port. This is built with the mbed.org toolchain, so you need to own at least one mbed module (LPC1768 of course) in order to access their online compiler and toolchain. Upgrading the X-axis wiring harness to a “continuous flex” rated cable. 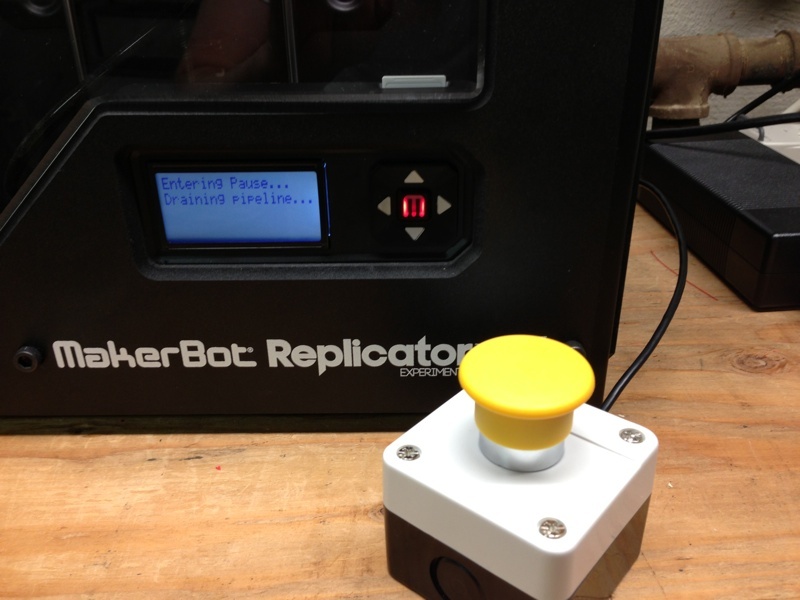 If you’re interested in a P-stop (Pause/Stop) for your Replicator 2 or 2X, click read more for the details. On the Makerbot Operator’s Group there was a discussion on network control of the Makerbot. A few options were discussed, including the EyeFi and the Toshiba FlashAir. I decided to buy a FlashAir and see if I could get it to work. The ability to both download from and upload to the card is listed as a feature, and mentioned in many reviews. Unfortunately, there is no mention of the upload feature in the documentation or in the card’s UI. Out of the box, the card broadcasts as a WiFi base station. When you connect to the card’s SSID, you then get a web server that allows you to read the files on the card. That’s about it. Settings are configured by a text file stored in a directory on the SD card. Luckily, it seems like there is a trove of undocumented features on the card, including upload ability, and the ability to join an existing network. I posted to the Google Group with some information on how to use this card in a Makerbot. I’ve found a lot of information, so rather than multiple posts to the Google Group, I figured I’d post the info here.